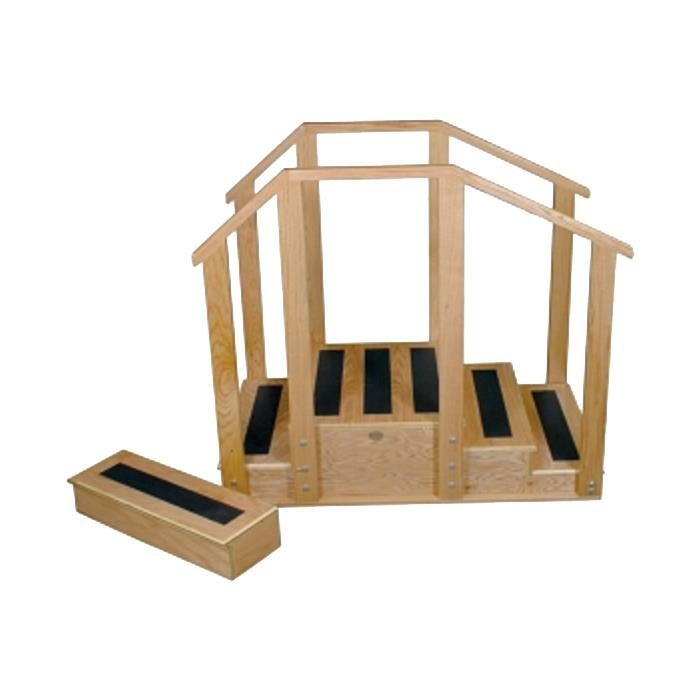 Dynatronics Standard Training Stairs are constructed of long-lasting oak plywood. They include solid oak handrails with anti-slip tread material on each step and platform for safety. Provides three, four inches risers on one side and two, six inches risers on the other. When in use, the six inches bus step creates a 12 inches riser on one side. Buy this product and earn 54.5 Reward Dollars. Which is The Right Safety Alarm and Sensor For You?